© 2015 Laura Norris. All rights reserved. Success in running is as much psychological as it is physiological. While training, recovery, and personal abilities most certainly determine our achievements, the more I learn about the sport of running, the more I believe that our perception of our abilities is the defining factor in how we run. 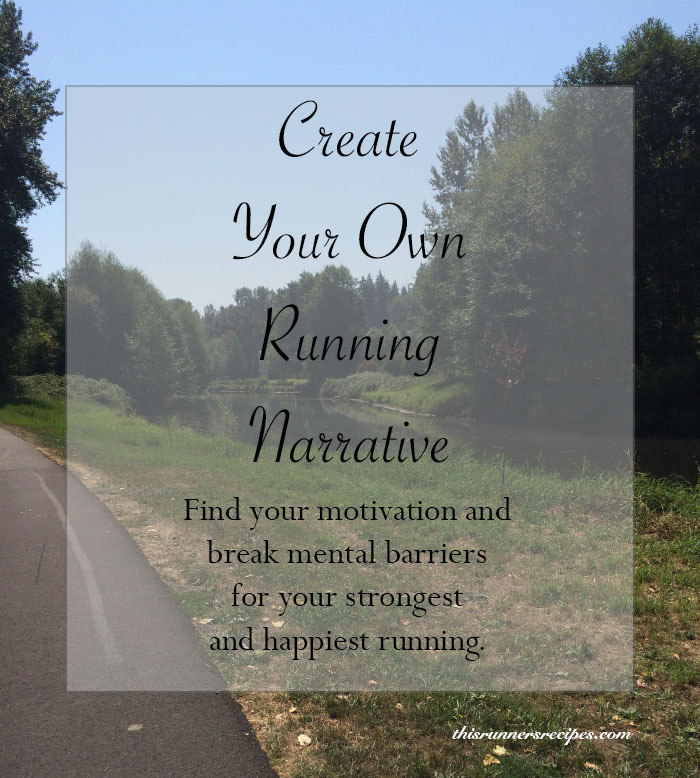 A deliberate narrative for your running will help you improve your psychological approach to the sport and overcome mental barriers, thus leading you towards becoming your best running self, however you may define that. How you perceive yourself as a runner can shape your success. If you write your narrative with can’ts, won’ts, shouldn’ts, then you are mentally limiting yourself and will likely get in your own way of your goals. If you write a narrative of perseverance and dedication, where you roll with the punches and overcome mental and physical barriers. Not every race is a victory. Whether it’s due to undertraining, overtraining, injury, GI distress, poor pacing, nasty weather, or just a plain off day, all of us have races, training runs, or even easy runs that we’d rather forget. We can think of these runs in two ways: one, as failures that will cause us to doubt ourselves, or two, as stepping stones on our path to our goals and as valuable lessons. The second option is a redemption narrative, in which we move past our perceived failures, take away something of value, and keep working towards our goal. So a bad race, in the redemption narrative, is not a bad race. It is a race which taught us the value of proper pacing, showed us which gels simply do not agree with our stomachs, or revealed to us the mental demons which we must learn to overcome. Whether we reached our goals or not, the race itself is only what we make of it and how we move forward from it. Why do you run? 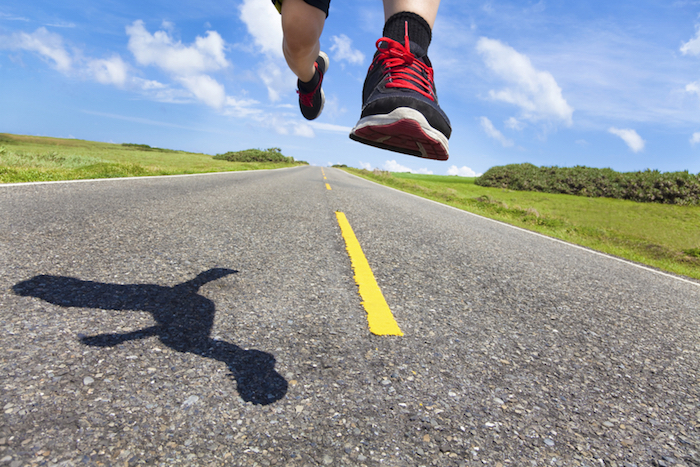 Part of creating your own running narrative is discerning why you run. Staying connected with the reasons why you run and how you developed your passion for running will help you stay motivated and continue to be an eager and joyful participant in the sport for many years. Understanding your intrinsic motivation will also help you clearly determine your goals and thus shape your identity has a runner. Not every runner has to be a marathoner; if you find more exhilaration in the fleet-footed pace of shorter races and are more motivated to train through track workouts than long runs, then why force yourself to train for longer distances? Write your running narrative so you do what you love, whether it’s 5Ks, trail ultras, or pure and simple raceless running. Be the runner you want to be and be that well. Don’t let extrinsic pressure shape what type of runner you are, whether it’s running marathons several times a year or signing up for every fun 5K. Don’t let doubts and “can’ts” limit you from being your best. Running can bring out the best of you, so let you running narrative do exactly that. By: Laura NorrisFiled under Inspiring, Running. Tagged Inspiring, running. Bookmark the permalink.